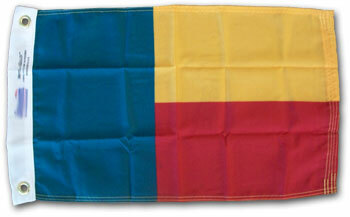 Made of high quality weather-treated nylon, these Benin flags sport a canvas header with brass grommets - perfect for any marine use. Sizes are approximate. Some flags are closer in size to 13"x19".